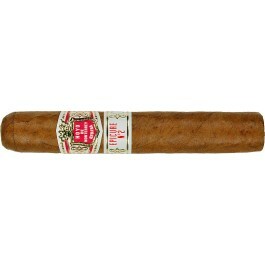 The Hoyo de Monterrey Epicure No.2 is one of the best Robustos from Cuba, 4.9” (143mm) long, of 50 ring gauge, and comes in a 50 cigars cabinet. The cigar has a nice easy draw from the very beginning, that remains consistent all the way through, and produces clouds of smoke. The burn is even, where the burn gets slower and the flavor smokier. The ash reaches almost 2 inches in length. The Epicure No. 2 starts with a strong shot of tobacco combined with deep flavors of moist soil and lots of spices. After few puffs on the cigar, the cigar becomes smoother and the flavors settle. The spiciness is gone, being replaced by dried fruits and sweet floral flavors, still trailing the earthy profile of the cigar. The spiciness is gone, being replaced by dried fruits and sweet floral flavors, still trailing the earthy profile of the cigar.